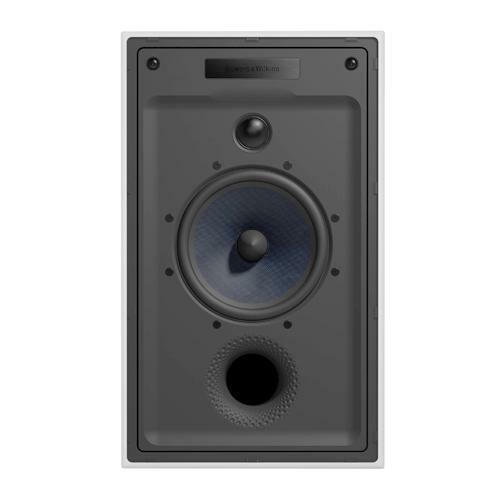 The mid-point in the CI700 range of in-wall speakers, the CWM7.4 has a more manageable size than the CWM7.3, but comes with a similarly impressive set of features, such as a 150mm (6in) bass/midrange driver set in a rigid die-cast chassis, a Nautilus™ tube-loaded 25mm (1in) soft dome tweeter and reinforced ABS baffle. The speaker uses a scallop under the tweeter to create a better roll-off at high frequencies, resulting in more accurate sound reproduction. Other high quality features include Mundorf crossover components and B&Ws Flowport™ venting system for a cleaner, more responsive bass.